Day 10 goal: Concentrate on setting a mood in your photos with creative or unusual lighting. 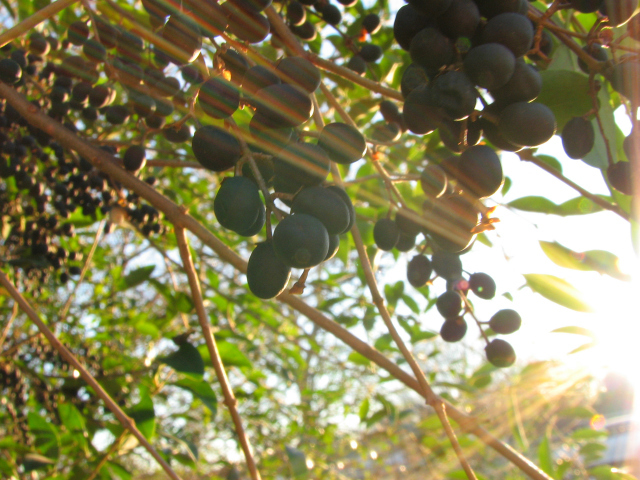 I like the rainbow sun rays on these privet berries. 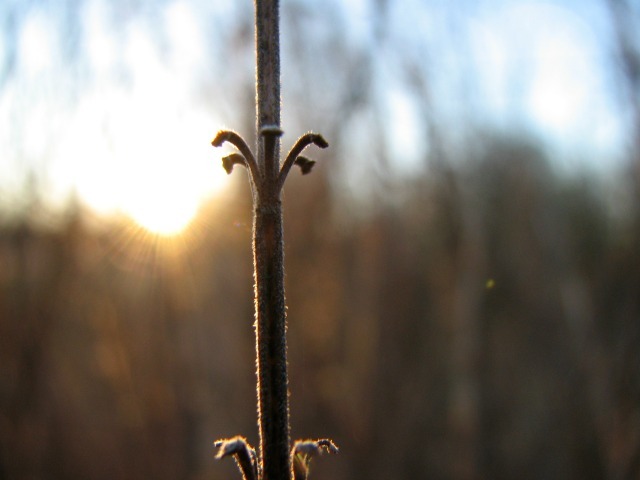 This was a hurried, last-second shot of a branch on last year’s basil bush silhouetted by the setting sun. Mystery 2.0 — Can you identify this mysterious coil? Mystery 1.0 — A fun family photography field trip supplied me with the images for this theme the first time I participated in Photo 101. Both photos are fabulous! I don’t think I can pick. Great work! Thanks! I was so surprised when I pulled that first photo up onto my computer screen and saw how the sunbeams were broken up into dozens of little rainbows. I didn’t know you could even take a photo like that! The basil photo was just a quick snap I took on my way into the house when my daughter was calling to me. I didn’t expect anything nice to come from it. I was pleased with both photos, as well. Love the sun streaming through the branches of this bush in the first photo. The second photo is interesting, I will call it a stick plant. lol Checked out your links and liked the second one with the rocks, geese, and all the other gorgeous photos. Thanks very much. Both of today’s photos surprised me. I didn’t know the sunbeams could break up into rainbows like that, and the basil photo was just a quick snap as I was leaving the garden.